The QI674, QI695 and QI825 OEM platform from Photometrics and QImaging is an affordable camera series that was designed to enhance instrument sensitivity and throughput with superior linearity, range and image quality. Learn about these and other imaging solutions at OEM Imaging, a dedicated online product development portal for biomedical instrumentation builders. Zaber’s X-FWR-E Series motorized filter wheels have a built-in controller, high speed change capabilities, low profile, and interchangeable filter holders. 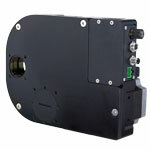 The built-in motor encoder allows closed-loop operation and slip/stall recovery features. Multiple X-Series devices are able to daisy-chain together to share a single power supply. 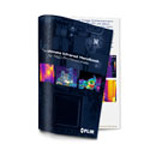 FLIR, the industry leaders in thermal technology, offer The Ultimate Resource Guide for Using Infrared for Research and Development. 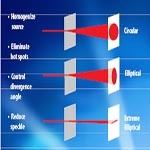 Develop a comprehensive understanding of infrared (IR) technology and use this resource as a guidebook for all your IR needs. Download your free guidebook today! Laser Focus World Products invites you to forward this newsletter to colleagues or associates who might be interested in our regular news summaries Forward to a Friend. If you do not subscribe to Laser Focus World Products newsletters, please click here. © 2018 PennWell Corporation. All Rights Reserved.